There's more to Rosslyn than the Chapel. 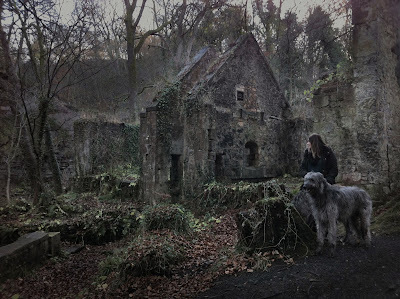 A walk down Rosslyn Glen is a journey into a broadleaf tree shaded ghost world of caves, castles, abandoned factories and a ruined gunpowder mill. It's also the site of a major battle in the Scottish War of Independence in the year of 1303. Find out a bit about Rosslyn by following the links. Then visit and discover the adventure for yourself. Amazing photo. I would love to copy this and display in my home. Is this agreeable? If so am I able to obtain a copy with a better resolution, I do not object to paying.